It looks like the waiting and speculation as to exactly what News Corp and Apple have been working on is about to be over. 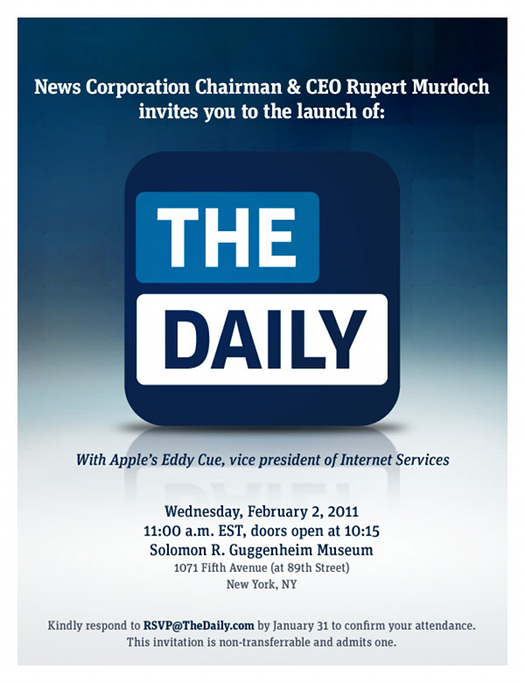 The Loop just posted the invite below, sent out to press, which says that iPad-only newspaper The Daily will be unveiled at The Guggenheim Museum in New York on 2 February. As might be expected, it doesn’t look like there’ll be any sign of Steve Jobs at the event, with Apple be represented by VP of Internet Services, Eddy Cue. However, it appears that Rupert Murdoch will be there. The Daily has been one of the most hotly anticipated news media stories of the past few months, ever since word of its existence started to emerge. We know that the tablet-based publication will update once per day, with news provided by a dedicated editorial team of over 100 staff, based in New York City. The title is also believed to be the launch vehicle for a new method of subscribing to periodicals on the iPad. 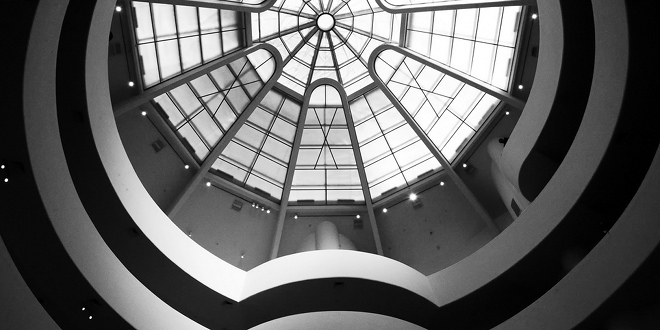 It’s thought that Apple will be revealing details of this at the Guggenheim event. Little is known about the look and tone of The Daily, although a few details were recently uncovered on its website. In six days, all will be revealed.